A new exhibition opening on 13 December at the University of Leeds will explore the impact of race relations legislation in the UK. Part of a wider project initiated by the UK Parliament and led by artist in residence Scarlett Crawford, First Waves: Exploring the impact of race relations legislation in the UK aims to highlight and evaluate the impact of the Race Relations Act 1968 — fifty years after the law was enacted. 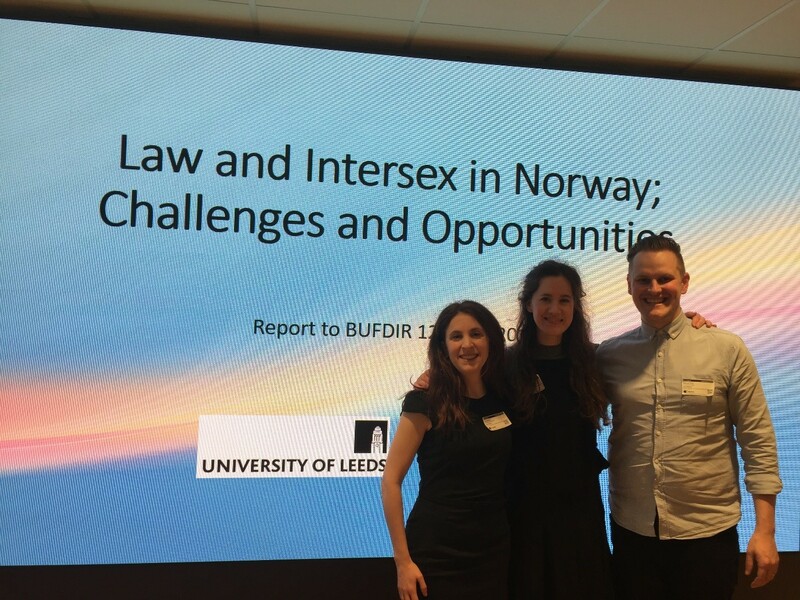 The exhibition has been curated by a group of students from the MA Art Gallery and Museum Studies and MA Arts Management and Heritage Studies courses at the University of Leeds, alongside colleagues in the School of Law. Visitors to the exhibition will be encouraged to critically engage with the displays and reflect on how race, anti-discrimination law and racism may have impacted on their own lives. In October 2018, Scarlett Crawford delivered a series of workshops in the Leeds area, collaborating with community members to record their stories through creative exercises. The artworks on display were created with these participants and reflect their personal experiences of race and racism. Displayed in the gallery are five portraits that use symbolic props to reflect stories of race and equality, an installation of objects and an audio soundscape. Leeds is the final city to be involved in the nation-wide First Waves project, with previous exhibitions in Cardiff, Thamesmead, Glasgow, Swansea, Nottingham and Liverpool. A major exhibition bringing together work created across the whole of the First Waves project will open at the House of Commons in Westminster Hall in January 2019. The exhibition will be open to all and free to enter during Parliament sitting times. The exhibition launches on Thursday 13 December from 2pm to 7pm in the Project Space at the School of Fine Art, History of Art and Cultural Studies. Visitors can attend a free seminar discussing the impact of the Race Relations Acts in Room G.04 until 4pm, after which drinks and refreshments will be served in the Common Room. See here for more information. The First Waves exhibition will then run from 14 to 21 December, weekdays from 10am to 5pm. Both the opening launch and exhibition are free and open to all. See here for more information about the First Waves project. Image credits: Scarlett Crawford, Tracey Pinder, pigment print, Leeds, 2018. 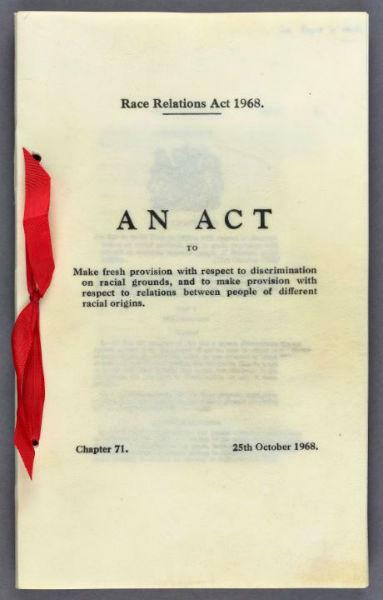 Reproduced here courtesy of Scarlett Crawford; Race Relations Act 1968. Courtesy of UK Parliament.